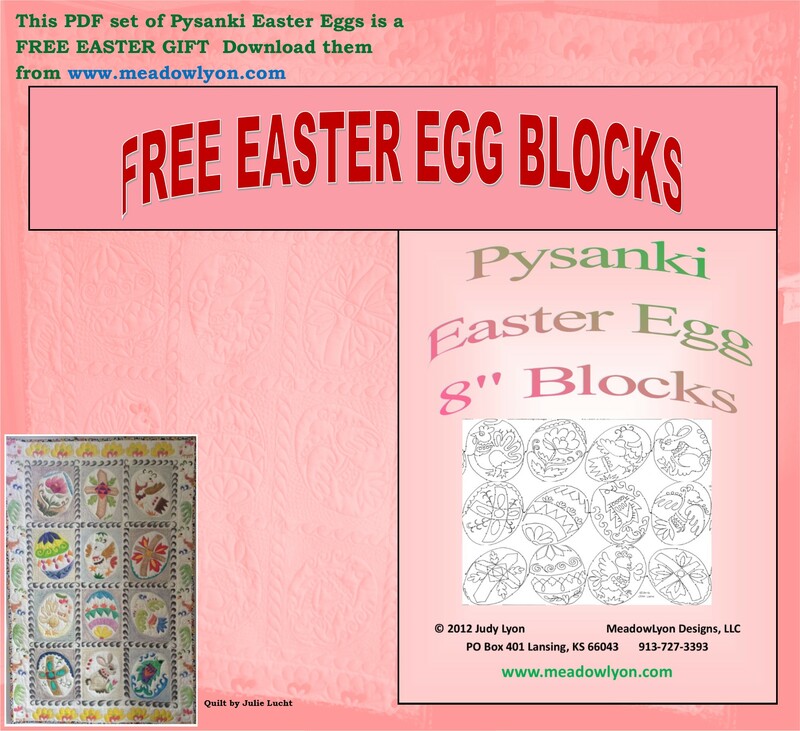 In this PDF format, you’ll download the pattern set. 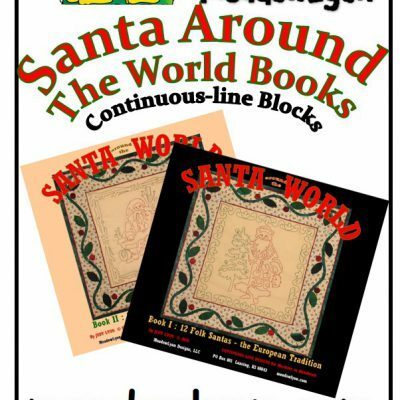 You’ll be able to print them off and even re-size if desired. 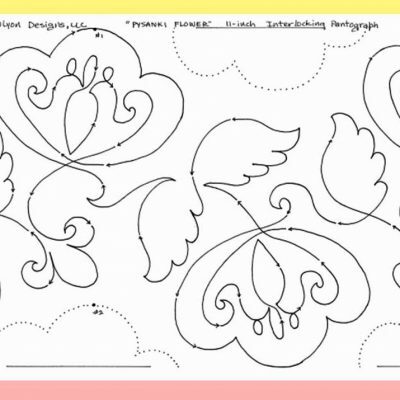 Please remember these patterns are copyrighted. If your friends would like a set, it would be easy to download a free set for themselves. 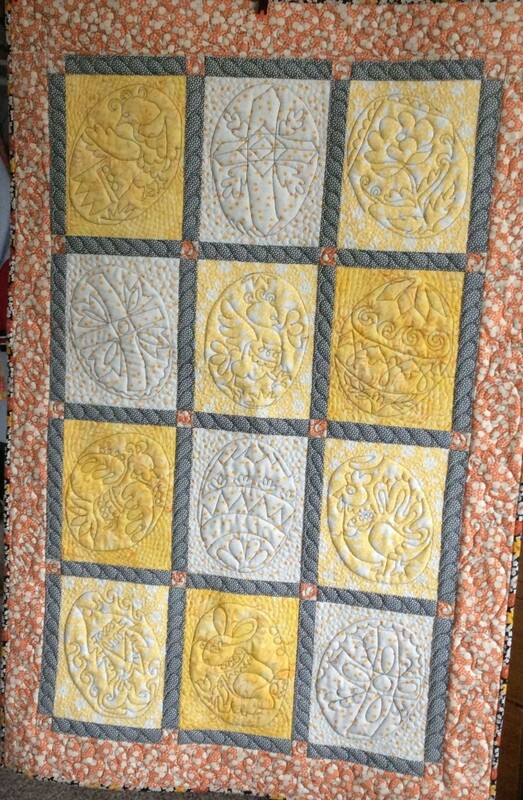 I love the way Julie in AK has quilted these blocks AND the way she’s painting them on the back! 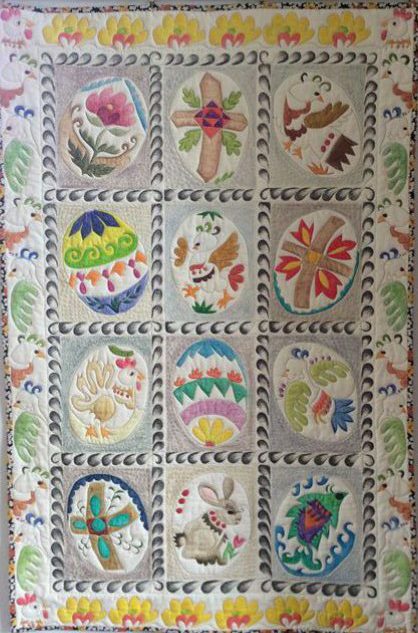 Note how she has lifted elements from the blocks to created the very fun and effective border. Let me tell you about Pysanki. These uniquely decorated eggs are traditionally made at Easter time in the Ukraine region. The designs are filled with meaning and the good luck they are purported to bring is legendary. Through the centuries they have been given as special gifts. 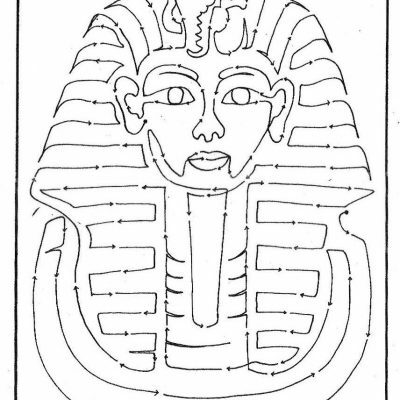 The designs were illustrative of hoped for blessings. 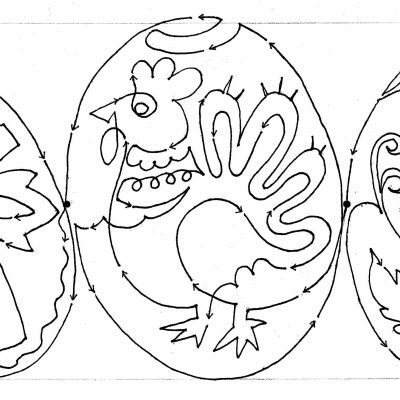 In drawing the patterns of MeadowLyon’s “Pysanki Series,” I’ve chosen the motifs I thought most charming. Although geometric designs are, by far, most popular in real Pysanki, I find them more difficult to draw and to stitch in “continuous-line” without a lot of risky backtracking. 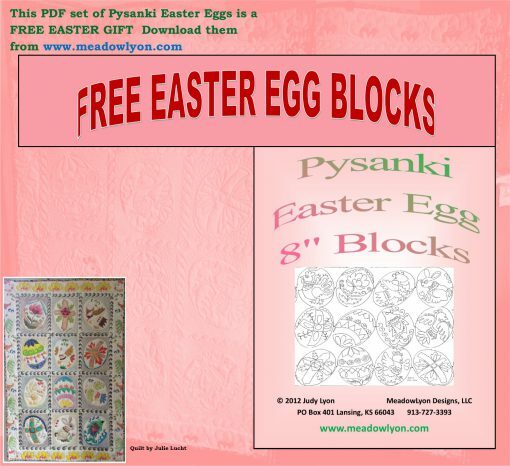 I hope you’ll enjoy the images that I’ve created in leaning a bit more towards what we, in the U.S., think of as Easter designs. Some of them are a bit intricate because I wanted to achieved the flavor of the little wax dots and embellishments in the design. 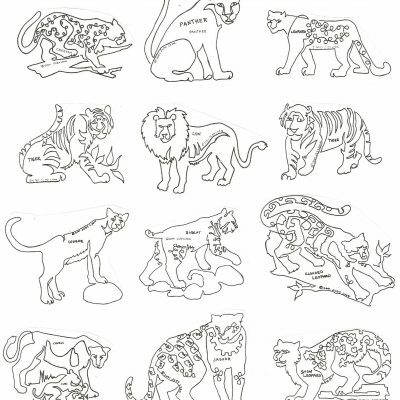 If you desire, in many cases you can by-pass the stripes and loops leaving a simpler outline of each animal or motif. 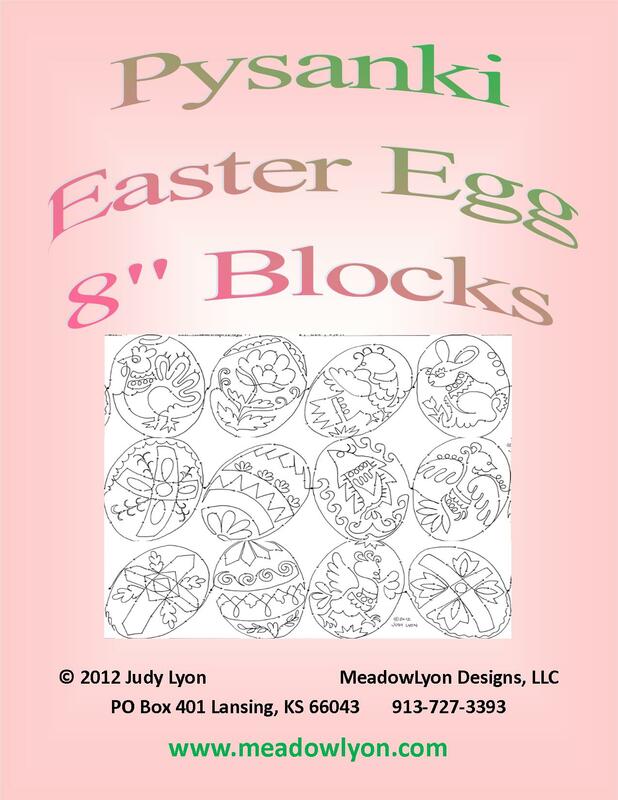 Also, I don’t mind if you want to enlarge the “Eggs” in the Easter Egg Border. 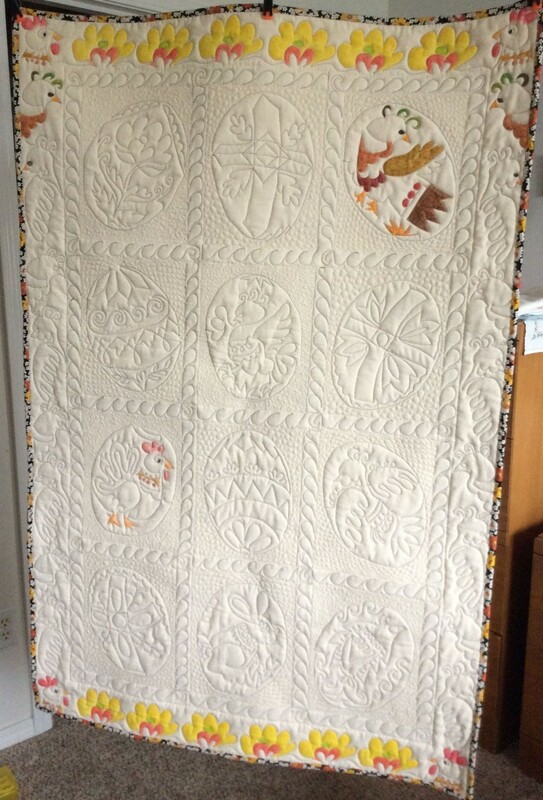 They would be lovely in quilt blocks. I hope you’ll have as much enjoyment from them as I have.